Hair is very essential in defining the looks and personality of an individual. This is the reason why people worry when they notice excess hair fall. 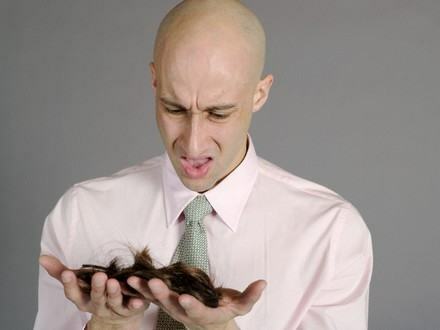 Losing of hair to some extent is normal but when this increases it becomes a reason for distress in men and women. Hair loss disturbs male and female equally and they search for the solution. The solution to hair loss can be PRP. PRP is effective hair loss treatment and it has acted as a permanent solution for many with excessive hair fall. PRP reacts as a proactive therapeutic option for both male and female patients who wish to get stimulation of hair growth for typical hair loss conditions. It is a natural process that yield best results in several cases and when a patient go for PRP Hair Treatment in Ahmedabad it is sure that he will get desired results. PRP is non surgical therapeutic option that achieves stimulation of hair growth for hair loss conditions with one’s own blood. In PRP the doctor takes little blood and then to obtain PRP, patient’s blood is spun in a centrifuge. In a centrifuge solid part of blood is separated from liquid components so as to obtain the enriched cells or platelets (PRP). This highly concentrated Platelet Rich Plasma or PRP with essential growth proteins is injected into the areas to be treated using a special micro needle. 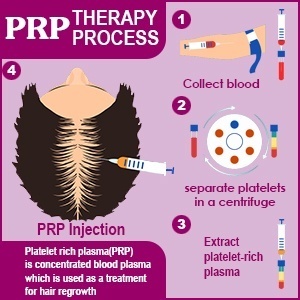 The PRP treatment works on the fact that blood plasma (PRP) contains active growth factors which can promote hair growth. When this PRP is inserted into the recipient area, it promotes blood vessel growth and helps in formation of new cellular growth of hairs. Why PRP Treatment In Ahmadabad With Avenues? PRP therapy in Ahmadabad is performed by specialized doctor with advanced technology. With Avenues PRP you can slow or reverse the signs of aging and hair loss. Other than head scalp PRP at Avenues is also performed to treat hair loss at areas such as eyes cheeks, mouth and forehead. PRP treatment in Ahmadabad, Avenues has been successful in yielding effective results from last many years. PRP is simple procedure that does not involve any surgery, incisions or healing. The recovery period involved in PRP is very less. It is safe and reliable procedure. With PRP natural looking end results can be ensured. It promotes faster natural hair follicle stimulation that helps in hair growth. PRP can be used to promote hair growth in areas where laser and other technologies cannot be used. Hair loss patient with early phases of male pattern baldness. Hair loss patient with thin hair growth. 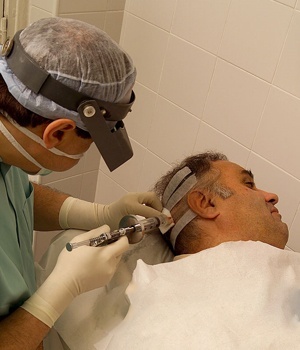 Hair loss patient who would prefer not to go for strategies like hair transplant. Hair loss patient with diseases like Alopecia. Hair loss patient who want to achieve full growth in their hairs.